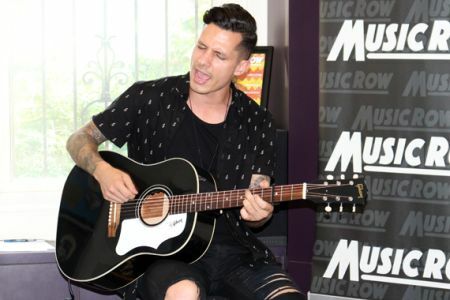 Californian singer-songwriter Devin Dawson had good reason to exploit prison imagery and metaphors in three of the 12 songs he wrote on his debut disc Dark Horse. So it's no surprise that he filmed his first video clip All On Me in the historic but now heritage listed de-commissioned Tennessee State Prison. The prison was also the locale of the 1999 Green Mile movie and Eric Church videos Homeboy and Lightning and the Old Crow Medicine Show clip Brushy Mountain Conjugal Trailer. “It was a cool place to do it - in Nashville - the place where you live,” Dawson , 30, told Nu Country TV. So what impact did the late Johnny Cash, who recorded and filmed his Folsom Prison live album, have on Dawson ? “Thanks for mentioning Orangevale, people mostly mention Sacramento . I was influenced by Johnny Cash, more so as an artist and as a man than my sonic identity,” Dawson explained. “People always ask why I wear black / where I get my style/ and why I never smile in pictures/ no, it ain't that I'm self-conscious/ I'm just conscious of myself / no, I ain't no white knight/ I'm a little more dark-horse." 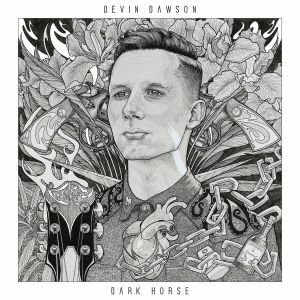 - Dark Horse - Devin Dawson-Andy Albert-Andrew DeRoberts. The Cash creativity also sparked Dawson 's filming of latest video for his album title track with a gaol backdrop. “We didn't film Dark Horse in a prison but actually in an old paint warehouse in Nashville ,” Dawson revealed. Devin also filmed live videos for Dark Horse with and without the band he formed at Belmont University in Nashville. “There are versions with full band and versions with just me and guitar,” added. 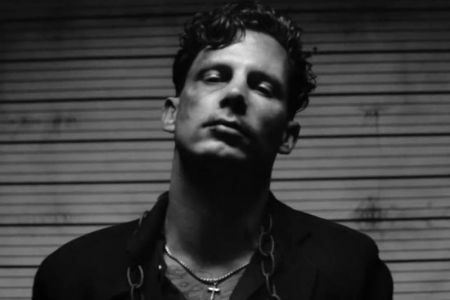 “I stole some hearts but dodged the bars out on the run/ committed crimes but not the time I should've done, oh no, no/ I'd feel the cops, that was enough to start laying low/ until the day I felt these chains not letting go/ call me a convict, I've been convicted/ serving the verdict, a life sentence.” - Prison - Devin Dawson-Seth Ennis-Josh Kerr. The third song in the singer's behind bars trilogy is ruptured romance requiem - Prison. “It's a love song,” Dawson explained. 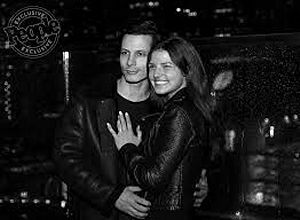 Devin escaped his prison prism after meeting fellow Belmont College student Leah Sykes in Nashville . “I met Leah in Belmont , we actually got engaged about a week and half ago,” he confessed. 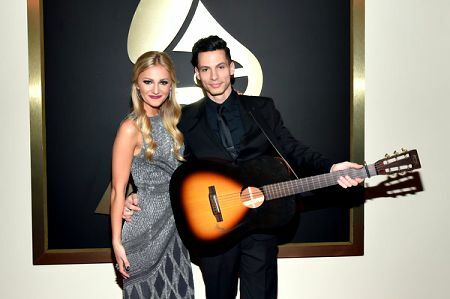 Another Belmont College student Louisa Wendorff helped inspire his big break with a video collage of Taylor Swift tracks Style and Blank Space. “It was a Taylor Swift mash-up,” Dawson explained. With supreme irony Dawson played the 2019 CMC Rocks Queensland Festival in Ipswich exactly a decade after she debuted at the CMC Rocks Snowy Festival in Thredbo. “I saw her on the poster backstage in Ipswich,” Dawson revealed. "If I was the one who broke your heart/ why am I so torn apart/ if I was the one who lit our love and let it burn/ why am I breathing in this second-hand hurt?" 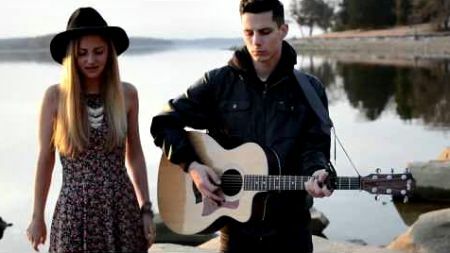 - Second Hand Hurt - Devin Dawson-Will Bowen. But long before Swift became a Dawson devotee the family musical mecca had roots in death metal rock band Shadow of the Colossus with Devin and his twin brother Jacob - the band's drummer. Jacob produced Devin's debut single Blind Man before prolific producer Jay Joyce took the reins. Joyce's clients include Dawson 's tour mates Brandy Clark and Lindsay Ell, Eric Church, Brothers Osborne and Little Big Town . “He's a crazy scientist producer,” Devin said of Joyce after his sequencing Dip as the entrée song that finished as a bluegrass belter. And that death metal embryo? “We all have different ways to get there,” Devin explained. So is his writing with Jacob who chose his professional name Durett. “Black mascara, Moulin Rouge/ blood red lipstick, high heeled shoes/ it's her turn to do him wrong/ that ain't makeup she got on/ it's war paint, war paint/ she's gonna see that two can play that game, that game/ that ain't makeup she's got on/ it's war paint, yeah.” - War Paint - Devin Dawson-Clint Lagerberg-Chris DuBois. Devin already has a deep song pool to swim in and choose from for his second album. They include a song he wrote on November 10 on the Soul 2 Soul tour with singing actor Tim McGraw and Faith Hill who return here for their third visit in September. “I wrote I Got A Truck at a stop on the Tim McGraw tour,” Dawson recalled. But it will be one of many vying for inclusion on the disc? “Since I've been out of the studio I have probably written at least 400 songs,” he confided. And the importance of videos when writing? “It helps to have a video in mind when writing songs,” Dawson explained. So what visual ignition has Dawson experienced down under? “I have written this song here called Message in A Bottle,” Dawson confided . Dawson is not light on for altruism. He embarks on a California Smoke six date tour in April and May with proceeds going to fire fighters and California Fire Foundation. 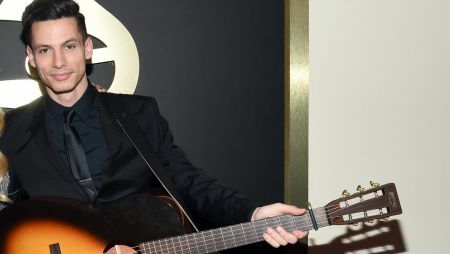 That comes after being honoured at the Belmont College 10-year celebration of his graduation as a song-writing major. Warner Music created a $25,000 scholarship in Dawson 's name with the college matching with another $25,000. The pending scholarship announcement was such a well-kept secret that Devin's dad David did not know in advance. “My dad wasn't there. I didn't even know it was going to happen - it was just the alumni and people from Nashville - celebrating 10 years of the song-writing department, naming a $50,000 scholarship in my name. Dawson , like many country predecessors, owes much of his exposure to variety TV shows. “We've had a lot of support from Seth Meyers and Jimmy Fallon,” Dawson said of a milieu dating back to David Letterman.